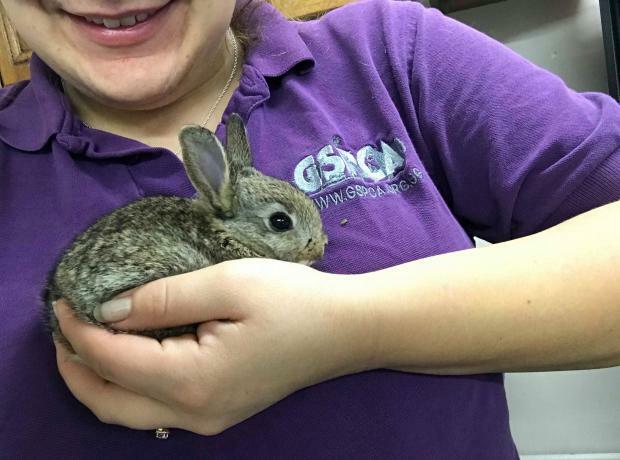 The GSPCA has been exceptionally busy with rabbits and baby bunnies in recent months. With 25 currently at the Shelter we are still very busy and in need of homes. At the GSPCA we are currently seeing the highest numbers of rabbits we have ever had. In the last month we have rehomed 15 rabbits to loving new homes and we are currently caring for 45 who are available for adoption. At the GSPCA we are currently inundated with rabbits looking for good homes and earlier this week we had a total of 42 in need. Thankfully we have rehomed 6 in the last few days but we are appealing for forever homes for the many remaining bunnies. Alice, Apple, Berty, Carlton, Celeste, Chance, Charlie, Christopher, Claudia, Eric, Finn, Friday, Honey, Huerbet and many more need your help. Whether you are looking for a rabbit or can help spread the word of these lovely rabbits it would be hugely appreciated. 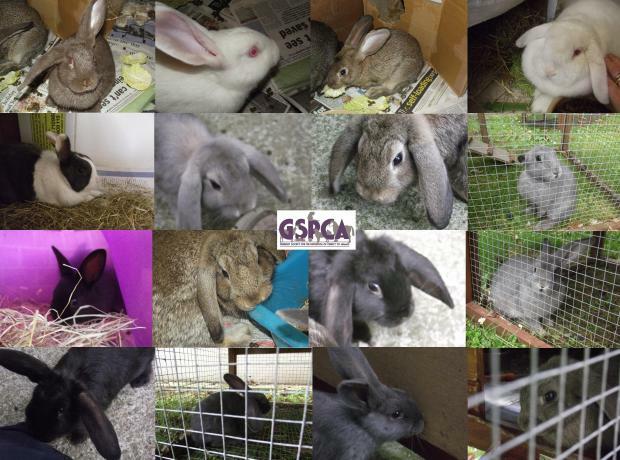 At the GSPCA we rescue, rehabilitate and rehome between 100 and 200 rabbits every year. Each May Rabbit Awareness Week takes place and rescues highlight the rabbits in their care, those needed homes and good practice caring for rabbits. Often called the forgotten pet the GSPCA are often called out to rabbits in need that may have dirty cages, no fresh food and very little to do. Rabbits are highly social animals and really need company, but it is very important to neuter and vaccinate them at the same time. Earlier this year a very kind lady made a fantastic donation that has enabled us to improve the many rabbits lives whilst they are at the GSPCA Animal Shelter. 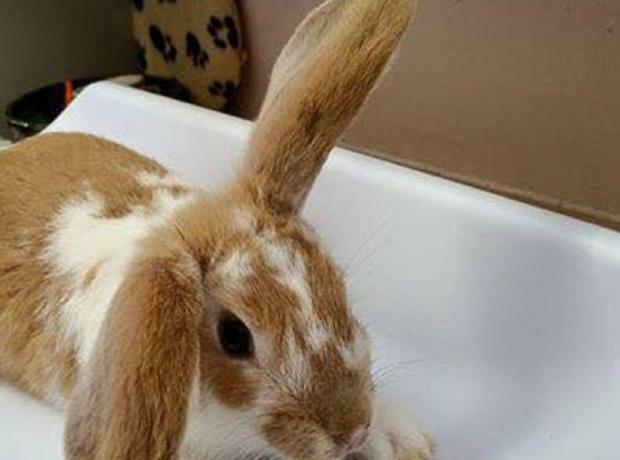 In the last year the Animal Shelter has had to help rehome dozens of rabbits with the Christmas period proving to be a time where the shelter has had more rabbits in our care than anyone could ever recall. Thankfully many of these rabbits are now in loving caring homes but for those that are at the Shelter we are always looking to help improve their stay.